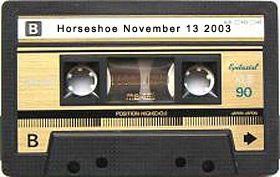 Details: The Rheostatics, live at the Legendary Horseshoe Tavern in Toronto, November 13, 2003. This was the 4th night of their 13 night Fall Nationals run at the Horseshoe. Guest Musicians Night.